BATAVIA, Ohio (July 14, 2017) – Clermont County Commissioners approved on July 12 the expansion of the Community Alternative Sentencing Center (CASC) to serve women. The CASC, which has been open since September 2015 under the management of Greater Cincinnati Behavioral Health Systems, provides an alternative to jail for misdemeanants who are convicted of drug- or alcohol-related crimes. Since 2015, the CASC has served men. It provides various kinds of treatment and therapy, including medication-assisted treatment (MAT), cognitive behavioral therapy, sober recovery meetings, and work readiness classes. It is funded by Clermont County, and its current budget is $440,800. Under the Cures Act, $26 million was allocated to the State of Ohio to fight the opioid epidemic. Clermont County, as one of the top 15 counties in the state most affected by the crisis, was given priority in the grant process, according to Karen Scherra, Executive Director of the Clermont County Mental Health & Recovery Board (CCMHRB), who led the application for the grant. CCMHRB is receiving approximately $418,000 in the first year of the grant and up to $700,000 in the second year, which is being provided to the County to fund the CASC program. By the second year, the county hopes to serve up to 25 women in the pod. Medication-assisted treatment will be emphasized, Scherra said. “We were very pleased to be awarded funding to expand CASC to women, which will allow a greater access to needed services and a better chance for recovery,” Scherra said. The CASC, which operates in a wing of the County Jail, will operate its women’s pod completely separated from the men’s. The new staff will include an admissions coordinator, three counselors, three aides, a part-time employment specialist, and a recovery coach. It will also include dedicated hours from a physician and nurse. 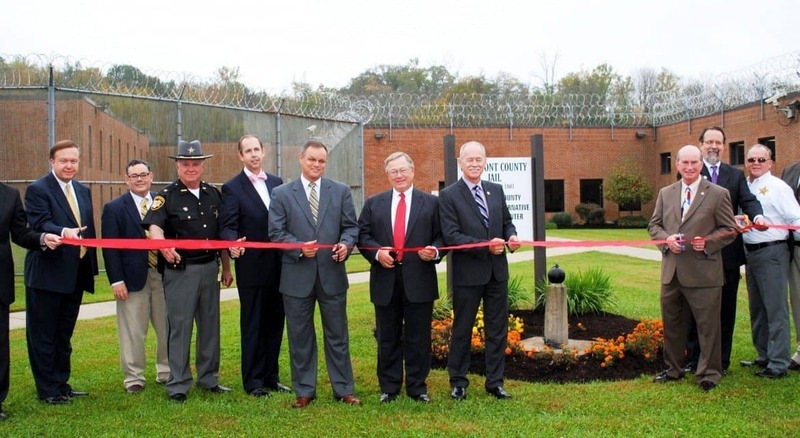 The Community Alternative Sentencing Center – the only one in the State of Ohio – is a voluntary program. Municipal Court judges refer misdemeanants to the CASC if they think they will be good candidates for treatment as opposed to incarceration. Since it began operating under the management of Greater Cincinnati Behavioral Health, the CASC has admitted 378 men. Of those 307 have successfully completed the program, with many transitioning into continued services and supports in the community.